My favorite time of year has finally arrived - barbecue season! Summer means it's time to put away your crockpots and turn off your ovens and get outdoors to enjoy the smokey and savory joy of the grill. The Keuka Lake Wine Trail in Finger Lakes Wine Country is ushering in summer with Barbecue at the Wineries, June 11-12 and June 25-26. Today I chatted with Erin from the Keuka Lake Wine Trail all about this mouth-watering event. Take 15 minutes and listen to the podcast using the player below or by clicking here. For this event, each of the eight member wineries offer a different barbecued dish made with a New York State rub, marinade, or sauce. Who said northerners don't know how to barbecue? We're talking some lip-smacking, sweet and tangy goodness here! 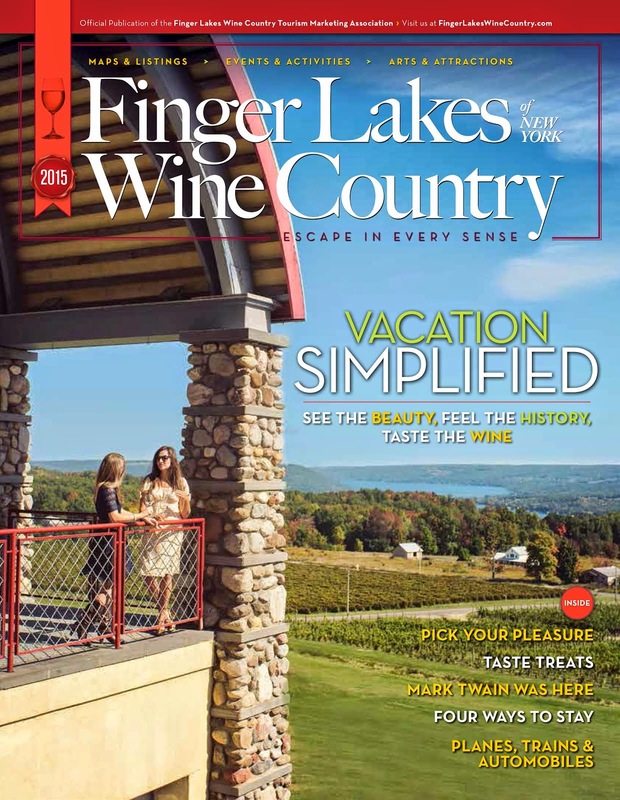 And wait until you pair that barbecued treat with a glass of delicious Finger Lakes wine. You're going to love it! Have you ever considered making a barbecue sauce with wine? For a quick preview of what you could be enjoying this weekend along the Keuka Lake Wine Trail, check out this delicious recipe from Heron Hill Winery. Smoked Pork Loin with Eclipe Barbecue Sauce, yum! Tickets for this event are just $25 in advance and $30 on the day of the event. Visit KeukaWineTrail.com for more information and tickets.